In the beginning, a tiny garage in Palo Alto, California, where two young and determined men created unique and visionary products while instituting a style of business management that revolutionized business strategies forever. David Packard and William Hewlett graduated from Stanford in 1938, in the midst of Depression era unemployment. As Packard later reflected, “Bill and I were brought up in the Depression. We weren’t interested in the idea of making money. Our idea was if you couldn’t find a job, you’d make one for yourself.” And, so they did. Starting in a neighborhood garage with $538 in their combined pockets, a used drill press, and a few ideas, their story begins. On New Year’s Day in 1939, Hewlett and Packard flipped a coin to determine whose name would appear first when identifying their company. When Hewlett won, Hewlett-Packard was born. Packard always fascinated with wireless radio, even in grade school spent countless hours tinkering to improve function and receptivity. His early experiments fueled his passion and curiosity, eventually leading him to fellow enthusiasts, Hewlett. Together, in that small garage, their first resistance-tuned oscillator was produced. Hewlett Packard’s initial resistance-tuned oscillator used both positive and negative frequency feedback, modulating interaction between acoustic speakers and the area of their output, a room, for example. Their design provided a thermally stable linear response to eliminate feedback and modulate tone from source to receiver. To moderate and amplify wide frequency ranges with high power output was truly state of the art. Meanwhile, another entrepreneur, Walt Disney, was preparing to dazzle the entertainment industry with his new film, Fantasia, an incredible combination of animation and symphonic sound. In 1938 a Disney engineer heard of Hewlett Packard’s 200A audio oscillator, marveled at its pure tone, and requested that they alter the instrument to accommodate the brilliant acoustics of Fantasia. For a modest price of $71.50 per unit, the modified design became the 200B audio oscillator and was purchased by Disney for installation in twelve specially equipped theaters selected to show the film. The word was out. 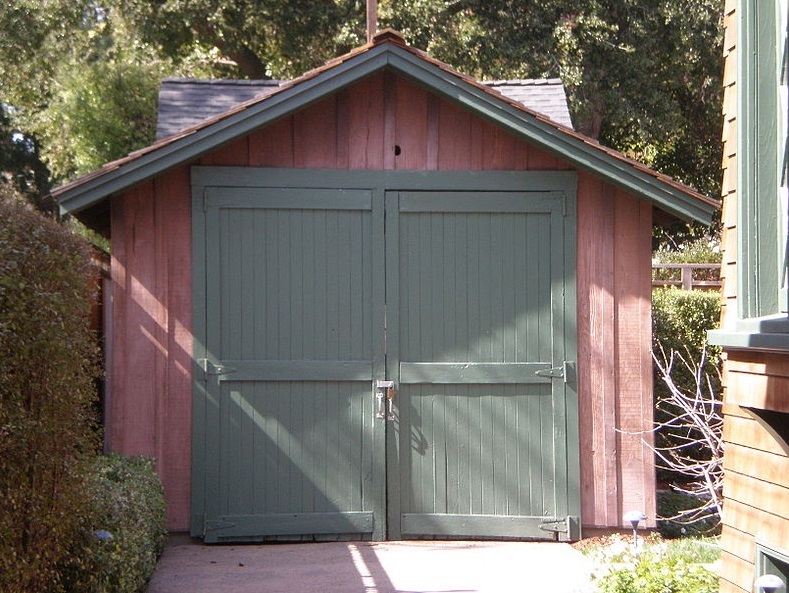 Within a year, their garage was bursting at the seams, and in 1940, Hewlett Packard moved into its first official space in Palo Alto, California. Hewlett Packard, ranked 40th of Fortune 500 companies in 2013, still calls Palo Alto home. The advent of World War II spurred momentum for Hewlett Packard, whose audio oscillators were in hot demand for use in radar and counter-radar military measures. The founders’ contributions did not stop with business matters. Bill Hewlett served as a U.S. Army officer from 1941 until 1947 and Dave Packard, personifying the “good corporate citizen” model, served on the Palo Alto School Board, and, from 1969-1971 as U.S. Deputy Secretary of Defense. Business was booming for Hewlett-Packard, incorporating in 1947 and going public a decade later at $16 per share. HP’s employees were issued a share in the company, creating a “people centered” work environment focusing on trust and teamwork. In the 1940’s an employee was stricken with Tuberculosis. Hewlett and Packard witnessed the devastation cast upon the family due to the illness and decided not to be bystanders. They implemented catastrophic medical insurance for employees and their families, the first of its kind and the precursor for future corporate insurance policies. In addition, they included recreational facilities on site, promoting health, teamwork, and a sense of community. Even as production increased and product lines multiplied, the Hewlett Packard style of “management by walking around” kept lines of communication open. Dave Packard’s famous 11 Simple Rules which continue to drive sound business practice include values of appreciation, understanding, and elimination of negative influences. They stress caring about details and end with a simple, “Keep it up.” Hewlett had his own recipe for successful management: have objectives, explain objectives, gain agreement on objectives, share success for achieving objectives, and be fair. By keeping lines of communication open and humming, Hewlett-Packard did indeed “Keep it up”, dominating the high-technology market and providing a business model for others to emulate. Today, Hewlett Packard’s original audio oscillator resides in their museum, superseded by innovative electrical and chemical test instruments and systems, networking products, medical electronic equipments, and computer related products. Of course, every high school student knows all too well of the HP calculator product line. In one capacity or another, Hewlett-Packard affects almost everyone at some point in their lives. Hewlett-Packard Company (HP) is one of the biggest multinational information technology corporations. Its headquarter is located in Palo Alto, California in the United States. The company’s shares are listed on the NYSE and it’s currently valued at around $62 billion. If you think this post was a good reading, please use the social buttons and share it with friends. This way you will help our site, too. Thanks in advance!